British Columbia’s beautiful Sunshine Coast has everything you need to make health & wellness the number one item on your spring vacation checklist. Health is an important part of our lifestyle; let the Sunshine Coast inspire you to intermingle with nature, and experience our special brand of exercise and fresh air. Pack your bags and head for the coast and discover this gorgeous region. Located only an hour from Vancouver but a world away from city crowds, the Sunshine Coast is a great place to reconnect and rejuvenate. 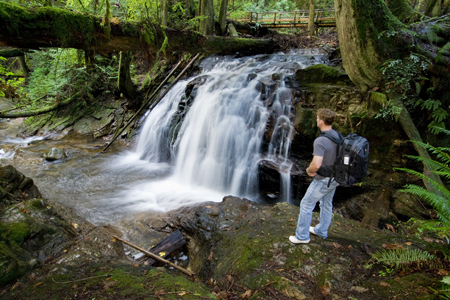 Blessed with hundreds of wilderness trails, the Sunshine Coast offers a lifetime of exploration opportunities for hikers, from easy paths to intense trails. Come and embrace the outdoors this spring, hike the Skookumchuck Narrows to view the tidal phenomenon at Roland Point. View ancient giant trees in Hidden Grove or stroll the historic Willingdon Beach Trail for a forestry interpretive walk through a live outdoor museum. Set off for adventure on the 180km Sunshine Coast Trail or the newly opened 37km Suncoaster Trail. The Sunshine Coast offers ideal terrain for road riders and mountain bikers of all skill levels. Throughout the region, hundreds of kms of trails, many of which are loop routes for easy navigation, means you will never run out of new areas to explore. Whether you're looking for a scenic two-wheeled stroll, want to break the land speed record while catching some air along the way, or something in between ... the Sunshine Coast has a trail (or two!) just for you. 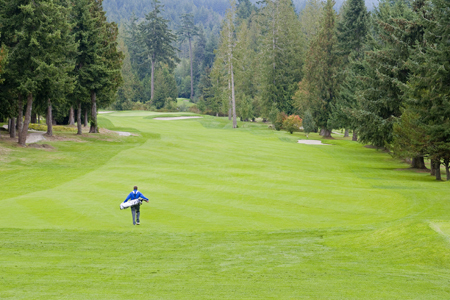 Proudly boasting picturesque ocean views and breathtaking mountain backdrops, the Sunshine Coast offers six of the most beautiful and challenging golf courses that you'll find anywhere, making it B.C. 's best kept secret. It is the ideal place for the golfer who wants to play a morning round on a great course, with time left to head off on a hike in the rainforest or take a boat tour in the afternoon. Imagine a massage in a cozy spa tent with heated slate floors and a roaring fire overlooking the ocean, or a week of quiet meditation and renewal. 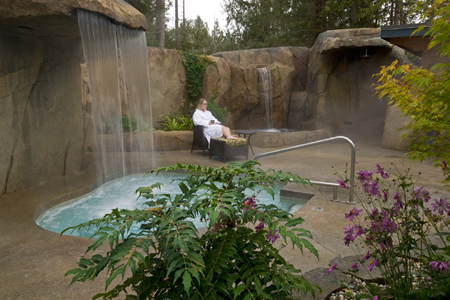 Whether you visit the spa for a day or turn your Sunshine Coast vacation into a wilderness retreat, you’ll return home relaxed and invigorated. Encounters in nature and therapeutic massages are just a few of the ways we can help you reconnect with a healthier, more relaxed you. For both people visiting the Sunshine Coast and our locals, springtime festivals & events offer fun, memorable experiences and great food. The end of May brings the Lund Shellfish Festival held along the shores of Lund Harbour and you will see our calendar is packed with events throughout the spring and summer. The Sunshine Coast Bed & Breakfast, Cottage Owners Association invites you to Go Local for an inside view of life on the coast. We believe the best experiences are always local. Isn’t that why we travel to places? To escape, to rest, to seek adventure, to experience the charm of a place and it’s people? 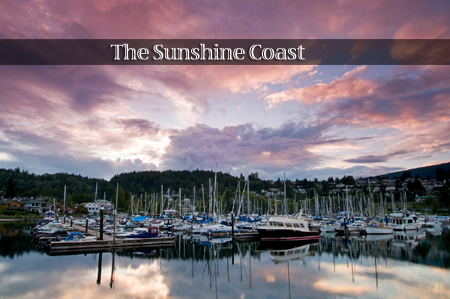 Our vacation properties welcome you into the Sunshine Coast not just to the Sunshine Coast. Whether you are looking for a romantic luxury bed and breakfast on the water, our collection of vacation properties are sure to please. Sunshine Coast is your holiday paradise with ..... something for everyone ..... something for you!